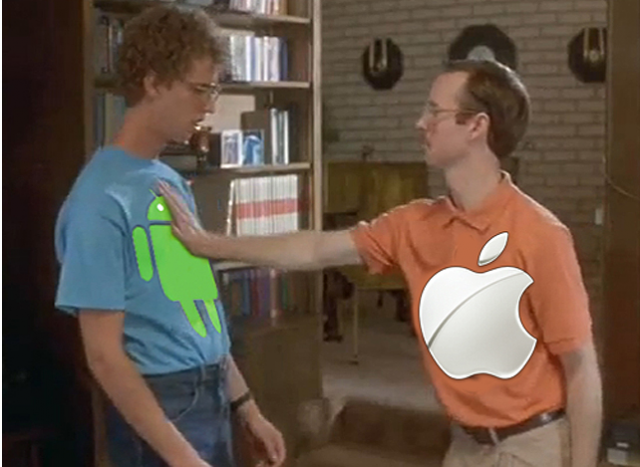 Two important developments today in Apple’s legal spat with Samsung. First, a German court handed the South Korean company a setback, rejecting one of the seven patent infringement claims it had brought against Apple. In the court’s view, Samsung’s claim that Apple violates this particular patent, which relates to 3G/UMTS wireless standard, isn’t valid, though the presiding judge hasn’t yet explained why that’s the case. Far more interesting is this second bit of news coming out of the German courts today. Evidently, Apple has decided to assert its slide-to-unlock patent against Samsung’s Galaxy Nexus. This is the first time Apple has fingered the Nexus as an infringing device, and its decision to do so appears to be a significant escalation of the company’s campaign against Android. Not only is the Galaxy Nexus one of Samsung’s hero smartphones, it’s also Google’s Android 4.0 reference device. In fact, it’s the only smartphone shipping with Android 4.0 right now. In other words, it’s the latest “pure Google” phone. Which is noteworthy.